A new trading platform will be created in the Far East. In the near future, Russia’s Far East will have its own stock exchange, which is designed, among other things, to attract venture capital from Asian countries. In an interview with RBTH, Alexei Chekunkov, the head of the state-initiated Far East Development Fund, spoke about the prospects for potential investors in the region. Could you describe what your fund is exactly involved in? What projects do you support? Our core competency is the provision of financing in specific investment projects in the Russian Far East. We have ten projects in our portfolio. Basically we are talking about the construction of transport infrastructure, but there are also industrial projects. For example, we support the construction of Russia's first plant for the production of soy protein isolate in the Amur Region. The total cost of the project is 5.8 billion rubles ($89 million). The fund's invests 2.14 billion rubles ($33 million) in the project. Despite being a major producer of soybeans, Russia still imports soy protein. We will build facilities that will allow us to cover 40 percent of Russia's soy protein market. This is our first project in the field of agriculture, and it is very important to us. We aim to seriously move in this direction – including jointly with Asian investors. Recently, we established the Agro-Industrial Development Fund with Chinese partners. The fund's capital will amount to $10 billion, with 90 percent of the capital formed by the Chinese investors. Another new area for us is the creation of a trading platform in the Far East, the Voskhod (Sunrise) investment system, which we call ‘Russia's NASDAQ.’ We are implementing this project in partnership with professional financial market participants – the RTS (Russian Trading System) non-profit partnership. 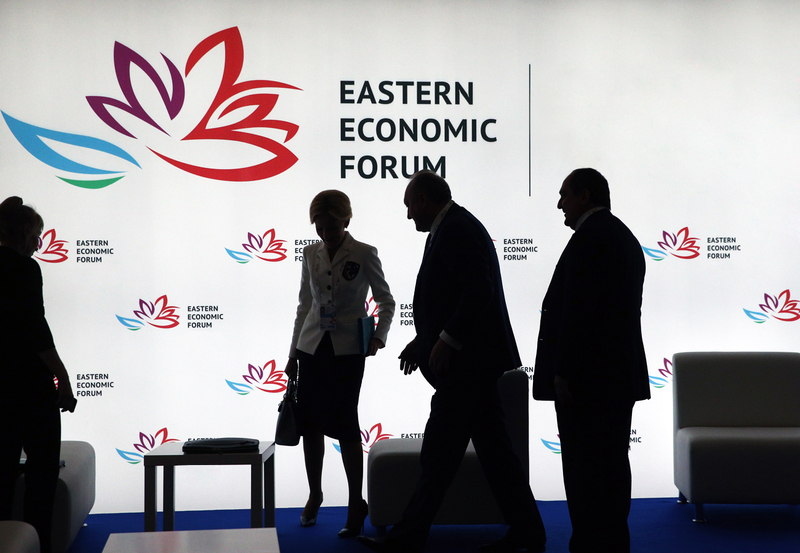 Why do you want to create a new stock exchange in the Russian Far East? It is in the Far East that we can apply new business practices. New principles of state regulation are used in the region, which has no tax obstacles in the traditional sense. We are creating a new electronic trading system based on the RTS infrastructure, which for many years has been one of the pillars of the Russian financial market. (In 2011, the RTS and the Moscow Interbank Currency Exchange merged with to create the Moscow Exchange). We will be sure to use new technology to create the exchange. Moreover, there will be convenient and lenient rules for Russian Far Eastern companies looking to use the platform. However, the issuers will be both Russian and Asian players. What is the need for a new trading platform? I believe that collective investment is a very important tool. Since the collapse of the USSR, only strong players are present in the stock and bond market. The MICEX is now a convenient platform for the representatives of big business, while there is a huge percentage of small companies in Russia, which require more risk capital. Until recently, they used other platforms, including NASDAQ or stock exchanges in Toronto and Hong Kong. One company, which has operations in Chukotka, was listed in Australia. For such companies, the Russian financial market does not offer a proper infrastructure, so far. I can say that our foundation is looking at 130 projects, which attracted a total of about 2 trillion rubles ($30.8 billion) in loan and share capital. Many of these projects may be of interest to both Russian and international investors. A modern platform requires not only the ease of placement, but also the necessary infrastructure, the creation of which in Russia requires many changes in the regulation. In the near future, regulatory changes must take place in Russia, allowing the opening of investment accounts without the involvement of brokers. Investing in stocks and bonds should be easy, including through an app on the smartphone. To buy bonds should be just as effortless as it is to buy something using a phone. Moreover, we hope that such investments will be exempt from personal income tax, and in this case be an incentive for the consumer to invest in bonds or place money on deposit. A bond is a riskier tool, but you will also get more profitability in this case: not 8 percent, but 12-15 percent. Collective investments schemes have been around for 400 years. They are much more flexible than direct institutional investments, which are important, but so far occupy a smaller portion of the market. We want the tradition to begin to change, starting from the Far East. Which companies would get preferential treatment in the new stock exchange? Can we say that it will be primarily IT-related companies? The idea of preferential and easier fundraising for IT companies has long existed, and it exists on the basis of an existing platform. There is a platform in the MICEX for investment in innovation. This is an alternative platform, which exists and offers its solutions. Moreover, the IT market is not an important pillar for the Far Eastern regions. However, it should be said that even in Yakutia, where people don't spend a lot of time on the computer, there are world-class companies, but this trend is not yet mainstream in the region. The new platform will be designed for all businesses, and there are no preferences for technology companies so far. In the future, there is every chance for the centers of the knowledge economy and world-class technology to emerge in Vladivostok. We will offer our services to all the companies that the fund interacts with, as well as to those companies that are not yet willing to take our money. Our fund has very strict conditions, including security guarantees. What are the most important requirements for projects that you support? While public money should be used to aid developmental projects, it should not support loss-making projects. Public money should be returned to the treasury. We have no room for error, because the system of public investment evaluation does not allow for any risk. Whenever the state loses money, terrible scandals begin. Therefore, we have lowered the maximum value for money. Our yield is 5 percent per annum; this is half the price, compared to the Central Bank. We ask for guarantees from borrowers, like a commercial bank, so there should be additional security for every project. This cuts off a significant layer of borrowers, but it is for them that we are creating the Voskhod investment system. What kind of developmental projects do you support? I would single out the ‘four themes plus one’ formula – these are the main areas in which our company operates: natural resources, logistics, food, tourism, and the theme not very obvious to most – industry. I'm not afraid of the so-called ‘resource curse,’ and I believe that it is necessary to squeeze the most money out of this area and reinvest it in other industries – both on the part of entrepreneurs and the state, which receives taxes from the sale of hydrocarbons. From the perspective of the resource base, the Far East's potential is underutilized today. The region has 70 percent of Russia’s marine resources, 50 percent of its gold, 25 percent of its forests, 20 percent of its coal and 40 percent of the country’s soy. All this can be put into use. Another important sector is logistics. The Far East has long been a transit region, as early as during the time of construction of the Trans-Siberian Railway, but today, this function has new features. The southern coastal areas of the Russian Far East are located in between the Pacific Ocean and northeast China. This part of China consists of the provinces of Heilongjiang and Jilin, where 50 million people live and 80 million tons of grain is produced annually. For Chinese manufacturers, the closest inland port is Dalian. However, if we can direct these cargoes to the Russian Far Eastern ports, we will save them 1,000 km. Do you think that Russia can meet the growing Chinese demand for water and food? In China, the consumption of all kinds of food and water has been growing over the last decade. The middle class begins to consume more protein, which is reflected in the structure of food. As a result, China has become a food importer. If we recall that China uses very intensive farming with the use of aggressive techniques to increase yield, this is a serious problem that the country must solve on its own. The Chinese city of Heihe, situated across the river from the ancient Russian city of Blagoveshchensk, is visited by 2.5 million tourists from Russia every year, but only 50,000 Chinese citizens come to Blagoveshchensk. At the same time, Chinese tourists are interested in our products, buy nesting dolls, and they even have a restaurant called Putin. The Far Eastern regions have much to offer to tourists. For example, the world-class resort Gorny Vozdukh (Mountain Air) operates in the center of Yuzhno-Sakhalinsk. Kamchatka is a more expensive and elite tourist destination, but still underrated. Do you see opportunities for industrial growth in the eastern part of the country? This trend is not obvious to everyone, but high-tech industry is already actively developing in the Far East. For example, the fifth-generation jet fighter Sukhoi is produced in Komsomolsk-on-Amur. In the rest of the world, only Toulouse and Seattle have comparable production facilities. Now, robotics is developing so rapidly that things such as the cost of electricity and proximity to transport infrastructure have become key factors. In Vladivostok, both of these areas are very developed: people live either near the Trans-Siberian Railway or on the shore. It is these factors that government officials meant when they spoke about the creation of territories of advanced development. As a result, a competitive environment has emerged for the creation of new businesses.